Our focus should be on how we can turn high broadband speed into meaningful advantages on the Digital Economy and Society Index, says Teofil Mureşan, chairman of the board at Electrogrup. He talked to Jerry Cameron about the need for consolidation in the market as well as the impact infrastructure sharing might have on the economy. We recently spoke to Matteo Patrone, Director for Romania at the European Bank for Reconstruction and Development (EBRD), who said that one of the challenges for Romania is the infrastructure gap, and in particular in the transport sector, which is both a hindering factor for further economic development and a cause for regional inequality. How do you view the development of infrastructure in the country over the last decades? Generally speaking, the stage that the infrastructure in our country is at currently creates huge disadvantages for Romanian companies. Although it has been developing over the last 20 years, in Romania, there is still discrepancy between the infrastructure in our country and European standards. I consider the biggest one to be in transportation. Apart from the telecommunication infrastructure, all other infrastructures, such as power and gas, water, transportation, railway etc., need important investments. Over the past 20 years we have seen differences between the development of the telecommunication and energy infrastructure. Telecommunication operators, which are large multinational companies, developed a telecommunication infrastructure starting from almost nothing. In contrast, the power and gas transmission and distribution operators have inherited a better infrastructure than telecommunication operators, but because of inertia, lack of experience and political protection, they have developed investment initiatives in an inefficient and flawed way. On the other hand, infrastructure investments could become an important driver for sustaining the high growth rhythm of the economy. An economy with a developed infrastructure brings major competitive advantages; such is the case for companies located in Western European countries. Returning to the telecommunication’s infrastructure — Direct One, which is part of Electrogrup, owns and operates over 62,000 km of fibre optic infrastructure. The company has recently acquired Netcity, a company which operates the underground fibre optics network in Bucharest. What does such consolidation mean for the Romanian market? While consolidation within the telecom’s sector has not begun on a significant scale it is simply a necessary step, prior to moving telecommunications towards sharing this infrastructure, as we have seen in other parts of Europe and around the world. Our goal is to diversify our asset base within the telecom’s infrastructure, while supporting the growth of both the telecom’s sector and the economy, as a whole. An increased sharing of the telecom’s infrastructure will only have positive consequences for all the parties involved. It will allow telecommunication operators to focus on serving the consumer while lowering their overall costs and investing more in content and other additional services. It will also provide a more reliable infrastructure, decreasing the barriers for new entrants in the telecommunication’s sector and, finally, it will provide healthy and sustainable returns for our current and future investors. A shared infrastructure has a positive impact on the environment by reducing the amount of land that monopolies occupy. 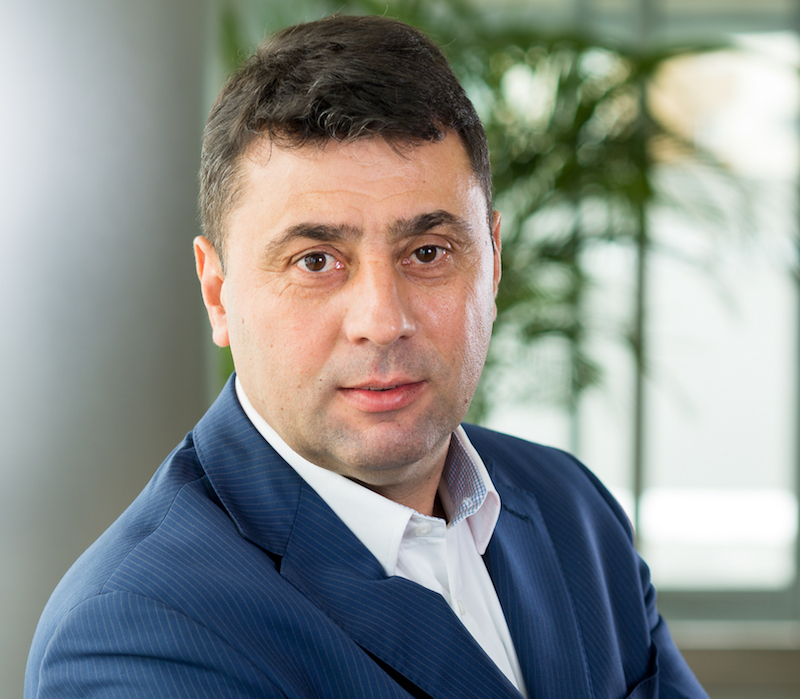 Direct One will continue the consolidation process, by acquiring fibre optics, SEM towers and telecommunication’s equipment from other telecommunication operators, in Romania and the entire region. The resulting infrastructure, which will be optimised for costs, will be offered back to the same telecommunication operators, as a shared infrastructure. When it comes to broadband internet, Romania prides itself in one of the highest speeds in Europe. At the same time the country ranks last in the European Commission’s Digital Economy and Society Index. How would you explain that? Romanians benefit from coverage from fast broadband connections in urban areas, which translates into the highest share of subscriptions in the EU while the take-up of mobile broadband is also accelerating. However Romania lags behind with regard to fixed broadband coverage, as well as mobile 4G broadband coverage; the mobile broadband take-up has advanced significantly, even though it is at a slower pace than the EU, on average. I believe our focus should be on how we can turn a high broadband speed into meaningful advantages on the Digital Index, and this process has already begun. Romania’s service exports have increased dramatically, off the back of tech services which are outsourced from multinationals to small Romanian IT players and the city of Cluj-Napoca city is probably a national leader in this regard. Additionally, and in order to increase the rate of digitalization of the economy and the levels of digital skill, our country adopted the National Strategy for the Romanian Digital Agenda 2020. The strong infrastructure in our country, mainly in the urban areas, is reflected in two indicators where Romania’s performance is outstanding: the subscription to fast broadband — Romania is in second place and largely outperforms the EU average with almost twice as many subscriptions — and the relative price per income for fixed broadband — where our country ranks tenth. The lack of fixed broadband coverage in white areas is being tackled with the help of European Structural and Investment Funds. More than 600 localities are expected to be addressed in the second phase of the RO-NET project, which provides a publicly owned backhaul infrastructure. Nova, which is another company within Electrogrup, is a relatively new brand that builds on the experience of firms that have merged. Why was such a consolidation necessary in the electricity and natural gas market? Since its founding, 20 years ago, Electrogrup, and the companies that are part in the group, followed one main differentiator: the implementation of the concept of cross-sector activities. In the first stage, we developed concepts and projects at the meeting point between the telecommunications and energy infrastructures: fibre optic networks on the top of overhead power lines, telecommunication antennas on high voltage poles, telecommunication centres in electric substations. Nova, as a trading company that operates in the power & gas infrastructure, was the next step in applying the cross-sector concept. Romania is said to have the highest wind potential in continental Europe. How is WESEE using that potential? I would say the Dobrogea area in Romania, which houses the largest onshore wind park in Europe. As a joint venture of SSC Wind GMBH and Electrogrup, WESEE emerged while this big park was under construction and continues to provide maintenance services there. In order to export the expertise it gained during this big project, WESEE expanded to other countries, such as Germany and Belgium, where the company provides installation, commissioning and maintenance services for major wind parks. 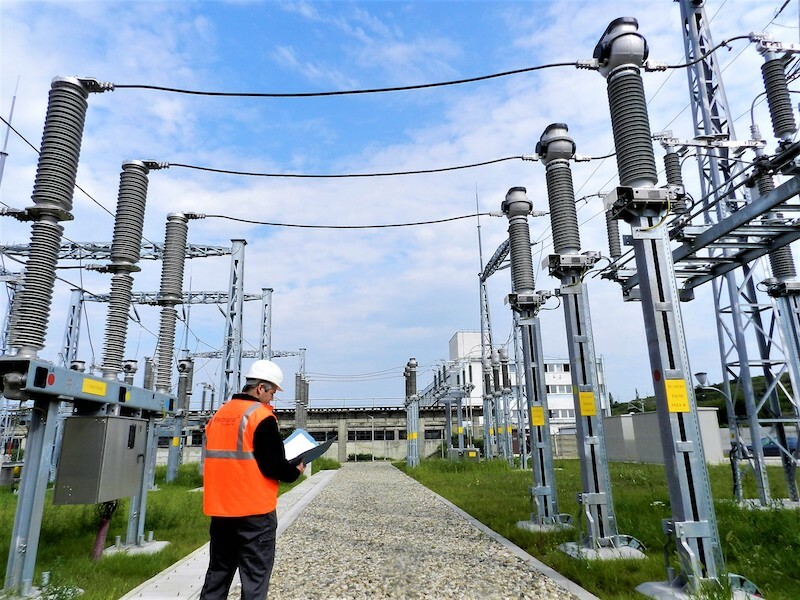 When we look at Electrogrup’s operations we see three major areas: the energy infrastructure, telecommunications and civil engineering. Are there any new areas the group wants to develop into now? In the short and medium term, our focus is on strengthening and growing our expertise and expanding to other countries and markets. In the long run, however, we are also considering investing in other types of infrastructure, such as water and railway. Apart from Romania, Electrogrup is active in Germany, Russia and Poland. How will Eximbank’s recent financial package help in further expansion? Electrogrup started the process of expanding its services across Europe in 2013. The expertise we have accumulated over 20 years of activity and the high numbers of complex projects we have successfully implemented have all helped us to enter foreign markets and to strengthen our position there, as well. Our use of similar technologies, in the projects and investments developed in Romania and other countries, along with the globalisation process, have made it easier for us to expand into other markets. One of the key factors in an investment process is financing the expansion with investments and the working capital that is needed in such large projects. Our group of companies is funded both from private banks and from the Eximbank’s multi-product package. The company was set up 20 years ago. 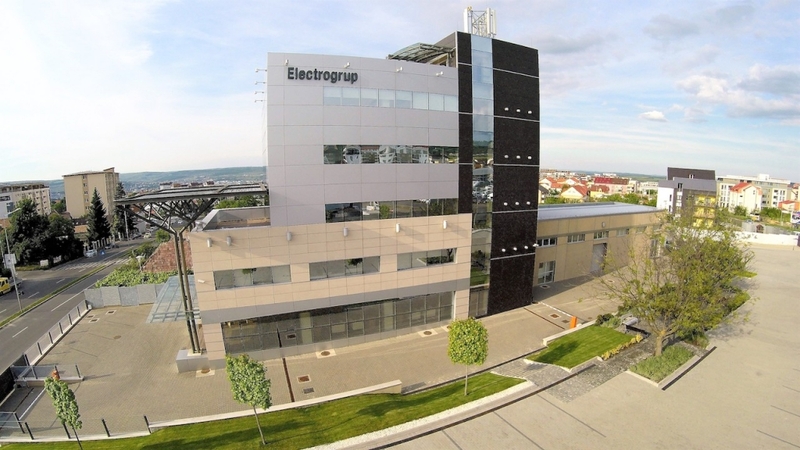 How will Electrogrup grow within the next decade? In the next decade, Electrogrup will grow through all three business lines: telecommunication, energy and (mainly) civil works construction. At the same time, we will also grow by expanding our services in Europe, the Middle East and Africa. We do not exclude merge and acquisition projects, if we will find meaningful synergies.